As a horse owner and trainer you must be the custodian of the welfare of the horse first and foremost. Sadly many reiners do not provide that care. 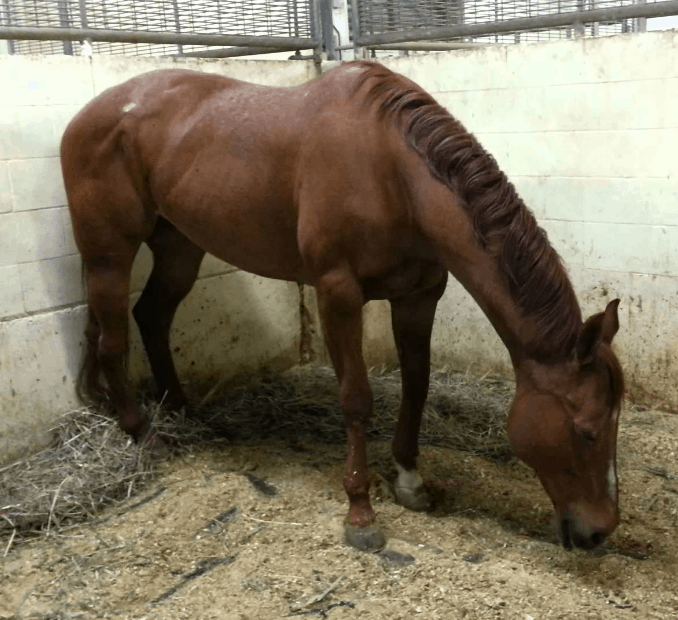 What is Animal (Equine) Welfare? Animal welfare refers to the state of the animal; the treatment that an animal receives is covered by other terms such as animal care, animal husbandry, and humane treatment in training programs. Protecting an animal’s welfare means providing for its physical and mental needs. The welfare of horses in breeding, competition and general riding and care is of the highest importance. It is as an owners Fiduciary Duty to provide care and keep horses from harm, particularly in training barns. The responsibility must be more than commentary or publicity; it must be upheld every day and enforced by those who work or are around the horse. The boundaries of equine welfare are often pushed under the guise of questionable professional knowledge and in the individuals haste to win. At those times they sanction techniques that become welfare issues. The good mindedness of the reining equines and their desire to please is overly capitalized on by ego and the hunger of owners and trainers to win titles and prize money, to the equines detriment. The rise of abuse, neglect and unfair treatment of animals is not tempered by the association nor those within the sport. These purpose bred animals now endure increased suffering as breeders, owners and trainers push for greater results believing the horses must do what they are bred to do at higher and higher standards. The expectation of time to deliver results shortens with the ignorance of the new world owners, the application of gimmicks, shortcuts, and human ego crack the boundaries of welfare; often to applying excessive and unnecessary pain to the horse. An animal that will suffer mental torment and torture silently as they respond as victims of prey. For those individual animals that do refuse, they are often met with increased pain and suffering as the dominate rider – trainer must win; often not even taking the time to understand why the horse or objecting. The lack of emotional value for the horse evident in how the trainer applies his/her skill at the barn. The welfare of the horse is not just about the show pen. It is all encompassing of training, handling and anytime a person is in the company of a horse or responsible for its well-being. Feeding, health, mental state and safety are also at the forefront of welfare and abuse. With no apprenticeship and a very low entry gate to becoming an owner or trainer, many learn by error and duplication of others and at the expense of the horse. They don’t question what is right and wrong; they just follow the pack. The first line in the description of a what a reining horse is ‘Willingly guided with little or no resistance !’ The second part of the sentence being the Achilles heel of the sport. ‘Dictated too completely’. One step out of place and the money or title can be lost. The horse suffers extraordinary pain to achieve total dictation. One wrong move, one thought on their own and the excessive spurring and jerking starts and continues until the rider believes submission has been achieved. Their training goal being learned helplessness. Now training programs are enhanced with drugging to gain complete control of the horses mind and body, no matter what pain or stress the horse is experiencing. Reining is fast becoming one of the cruellest equine sports in pursuit. The NRHA is failing to put in place safe guards to protect the horses by putting their own interests ahead of the horses. Run by the breeders and trainers to support their own businesses, is a conflict of interest. With no independent board members or executive to provide rationale and objectivity to conduct, rules and regulations. An organization that is rapidly becoming dated to modern day thinking of welfare. An organization operated on false piety. 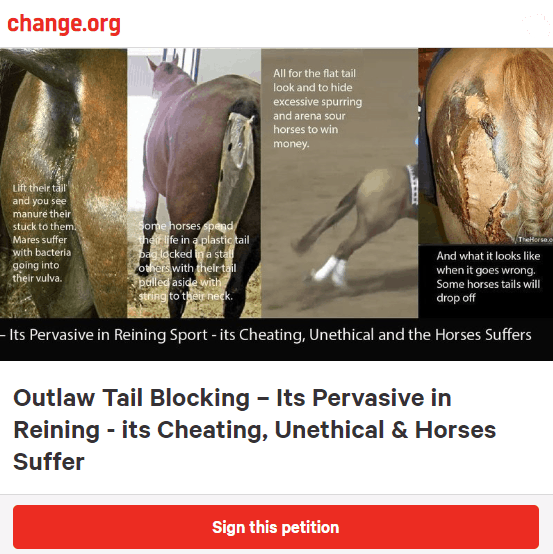 With the deafness within the sport and their personal gain prioritized more and more over the welfare, Reining Trainers Enigma brings a consciousness to the public of what is really going on. It provides the window into the methods of training, the actions of the governing body and the blindness of the modern reining owner and their predisposition to accept abuse. Abuse that is spoken about in private, observed continually, but denied wholly in the public forum. A membership that endorses a priority of worship of high earning title bearing trainers over the welfare of their horses. Reining Trainers Enigima is a group of people that are taking a stance with the intent to bring about change. A group of people with first hand experience in Europe, Canada and the United States of America in reining horse treatment and welfare. The public outside of reining, now seeing up close reining horses ridden and trained and take issue with what they see, being a greater measure than that of those within the sport itself. It started in Europe with the FEI championships when the equine world was mortified by the training style, all caught on video. Today that style is believed to be worse and the horses suffer. RTE are polling for change. The opinion of the wider equine world, and those with a conscious within reining, to influence, and demand, improved welfare of these horses. To develop rules that meet today’s standards and enforce those rules with transparency.